Most home furnishings are made for flat surfaces, not for those uncomfortable edge conditions we call either ‘inside’ or ‘outside’ corners. The following designs do more than just address such conditions, they thrive on these traditionally-problematic challenges. Kitchens are somewhat notorious when it comes to corners – cupboards bumping into another is one thing, but you also often lose the extra space contained in the corner itself. 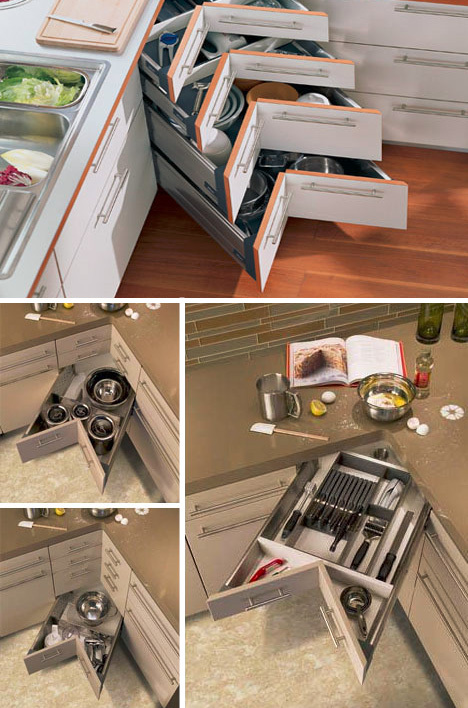 Not so with these crafty corner drawers that slide out at a 45-degree angle – designs by Blum and Heritage. Floor lamps are another classic challenge- they are often rounded, and occupy more space in the corner than they could possible need. 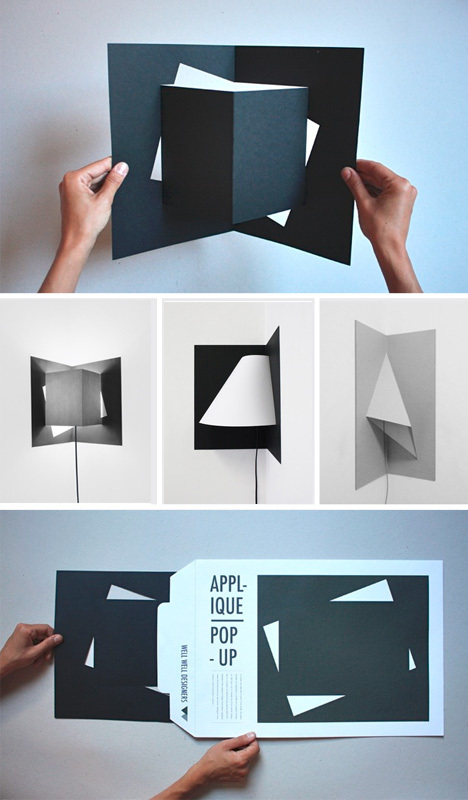 One solution is the Pop-Up corner light from WellWell, packed flat in an envelope with a cord, and folded out by the recipient to form a triangular, rectangular or round shape suited to 90-degree or even slightly-more-unusual angles. 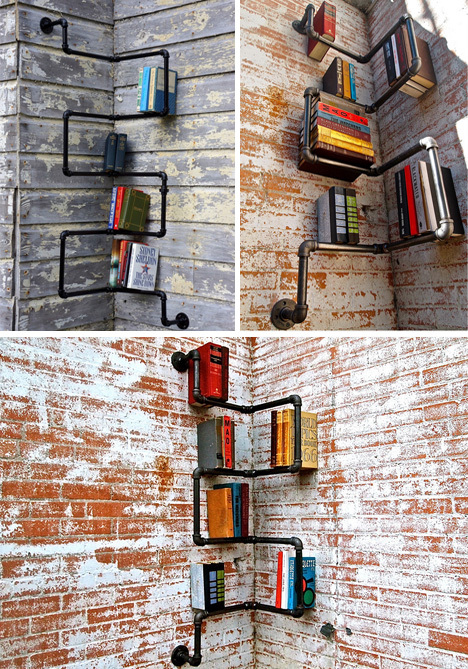 For storage considerations, pipe shelves like the ones shown above have been popping up for sale on Etsy for a while now – these are generally oriented toward inside corners, but could just as easily wrap out and around as well. And, of course, you can buy something already-made or go the do-it-yourself route instead. 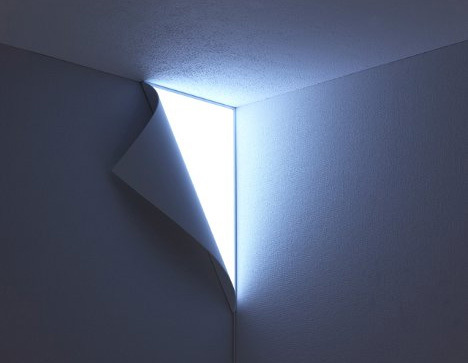 But inside corners are only half of the equation – what about outside corners, where two walls meet as they push out into the room? 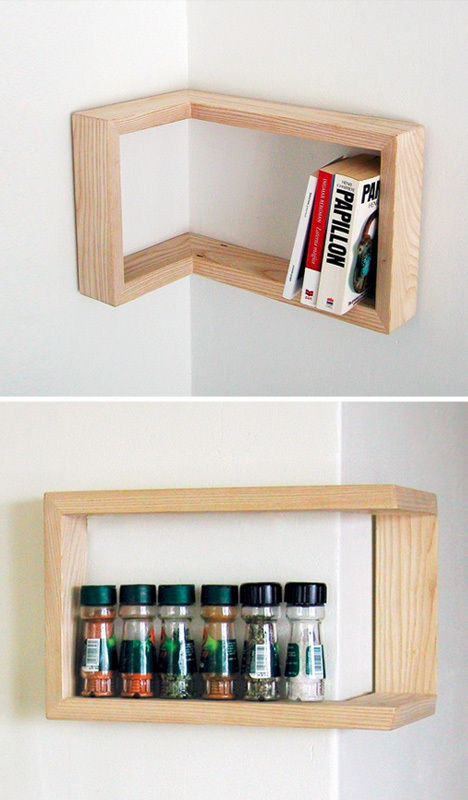 This corner shelf by Martina Carpelan fills both functions with elegant simplicity – it can be flipped to wrap around an outside corner, or to tuck into an inside one.